The government and the NHVR will create a national camera system. The federal government will use part of the $4 million annual funding being redirected to the National Heavy Vehicle Regulator (NHVR) in the wake of the Road Safety Remuneration Tribunal (RSRT)'s removal to implement a range of heavy vehicle focused safety initiatives, including a high-tech network monitoring system. Infrastructure and transport minister Darren Chester says "funding allocated to the former Road Safety Remuneration Tribunal will now be better utilised to develop new targeted safety measures including monitoring of heavy vehicles with a national network of cameras." Under the proposal, 70 camera sites will be integrated into a single national monitoring system. The sites will put "an end the ad-hoc approach to heavy vehicle visibility that currently exists across the road freight network," the minister says, and will "allow the NHVR and its partner agencies to identify drivers and operators that systematically flout fatigue rules." Chester says the consequences of any flouting will be felt across the whole supply chain. "Non-compliance with the rules will result in a formal investigation across the entire supply chain to determine the root cause of why it is happening," he says. The task is in the hands of the NHVR, which the federal government and independent senators called upon to step up in the void created by the RSRT repeal Bill’s success in the senate on Monday. NHVR chair Bruce Baird says "along with the roll out electronic work diaries and newer safer heavy vehicles that incorporate advanced safety systems, a national camera network will put us on a path to one of the most high-tech monitoring networks in the world." The NHVR chair says the body has a number of safety initiatives in the works to complement the camera system. "As part of our comprehensive approach to safety we are working with the industry to improve roadworthiness with a survey of 9000 vehicles to test the health of the fleet," he says. "New codes of practice guidelines and further education on everyone's role across the supply chain including the adoption of safety management practices will also be delivered in the coming months." The new national inspection manual, scheduled to come into effect by mid-year, will also "ensure consistent inspections and enforcement across Australia," Baird says. The NHVR will also continue to push its National Heavy Vehicle Accreditation Scheme, which had had 6,096 operators accredited last year. "We've been transitioning all Advanced Fatigue Management operators to a national scheme under the Heavy Vehicle National Law, allowing operators to easily adopt a risk-management approach to fatigue," Baird says. The end of the RSRT, which officially occurs tomorrow, came quickly on Monday evening. The coalition and a number of independent senators successfully moved the Bill through the senate with a four-vote majority, much to the joy of a number of industry bodies. 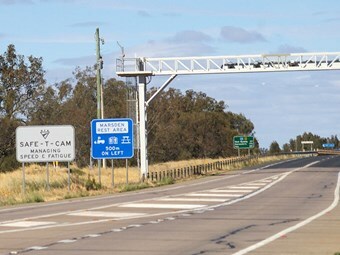 The TWU and the Labor party, which brought the legislation in during its term in office in 2012, were not pleased with the move and called upon the community to see a link between safety and remuneration for drivers. However, the coalition says the answer to road safety is not through payments, rather a more-diverse approach. "Safety is at the heart of the Government's plans for the abolition of the RSRT because we recognise that the reasons behind accidents are complex and require a modern, multifaceted approach to improve safety," Chester says.